Our deep experience working with service focused organizations makes us an invaluable resource for your firm. 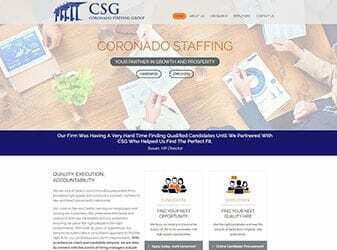 Not only do have broad experience with service firms, but we have the design and development expertise to bring this experience to life via your firm website. Each professional services organization has its own unique needs, which is why we provide truly custom design, development, and content delivery. Our custom websites focus on marketing your organizations custom skill-set. Not only are we always available to support you, but we will also provide your team with the tools necessary to manage your site on a daily basis.